Visit CraftNOW partner galleries including The Center for Art in Wood, Cherry Street Pier, and The Clay Studio for their special CraftMONTH First Friday activities in Old City. 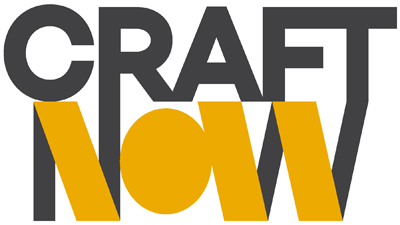 Participating retailers and restaurants in the neighborhood will have demonstrations, promotions, and special discounts just for CraftNOW First Friday! Times and locations vary for each venue. 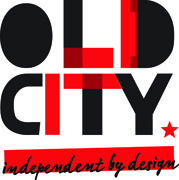 Presented in partnership with the Old City District. Merryll Saylan: This is Your Life, curated by Glenn Adamson, opens to the public tonight! Meet the artist and learn about CAW’s public programming. The newly opened space with artist studios on the waterfront hosts special demonstrations and makers Carla Fisher, Acori Honzo, and Sharif Pendleton. Enjoy a reception honoring the opening of Sarah Logan Ceramics: CERF+ and Making a Difference: Social and Political Activism in Clay. This month American Studio Furniture: Masterworks from the First Generation is highlighted in the gallery showroom. Exhibiting work in design, fine art and contemporary glass and ceramics, Wexler Gallery represents this year’s keynote symposium speaker, Roberto Lugo. Visit the cafe and receive a free macaron with any purchase when telling them you are enjoying CraftMONTH First Friday! Carrying toys for young creative minds that encourage play, visit this special shop and receive 20% off craft kits all day First Friday. Visit this boutique showcasing Philly-centric handmade objects by local artists and receive a free button when mentioning CraftNOW. America’s oldest candy store is offering a $5 self-guided chocolate tasting and $3 off a drinking chocolate flight after 5pm for CraftNOW guests. Displaying a unique collection of artists and work, this month Louise Strawbridge is highlighted for her work making paper and constructed sculptures. A new Japanese eatery and BYOB restaurant, Tomo Sushi will be offering a special discount and menu offering for CraftMONTH First Friday.